Minna Shaw rescues a fallen witch and in return is given the witch's old broom. 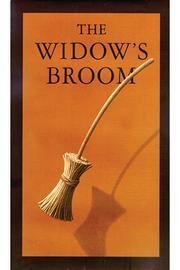 Neighbors think the broom is evil, but it helps the widow with her chores. The neightbors try to destroy the broom, which later comes back to haunt them. Van Allsburg, Chris, “The widow's broom,” Children's Picture Book Database at Miami University, accessed April 20, 2019, https://dlp.lib.miamioh.edu/picturebook/items/show/10283.